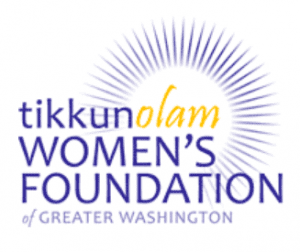 Since inception, Tikkun Olam Women’s Foundation has given away over $1 million in grants to more than 42 organizations, particularly focusing on women and girls in Israel, impoverished immigrant women in metropolitan Washington, D.C., and Jewish women and girls in the D.C. area. The foundation has been awarding grants since 2006. This grant for Avodah DC provides funding for the Jewish Service Corps as well as alumni of the program who continue living and working for social justice in the Washington, D.C. area. The Service Corps, comprised primarily of female participants, trains and supports young social justice leaders. Participants emerge from the program with a nuanced understanding of the ways that domestic poverty intersects with gender, sexual orientation, race, and other factors. This grant funds A Better Social Contract: Paid Family Leave, Affordable Housing, and a More Just Montgomery County. Through their campaigns In DC and Montgomery County, JUFJ works to bring about a more just DC region by working for policies that disproportionately support women. They develop strong feminist leaders as women grassroots volunteers drive most of their programs and work bringing systemic change to our region. Desegregating Public Spaces in Israel aims to eradicate the increasing barriers that are infringing on women and girls’ participation in the Israeli public sphere through litigation and raising public awareness. The increased gender segregation in public life has resulted from the increasing integration of the ultra-orthodox population in academia and the workforce. Fighting Exclusion—Increasing Equality seeks to halt and eliminate all forms of exclusion of women from public spaces in Israel, focusing on the IDF. IWN will promote policy, legislation and enforcement policies which eliminate the institutionalized exclusion of women in the IDF, participate in a coalition which encourages educators to publicly come out against exclusionary policies, present information regarding cases of exclusion in the IDF to members of the Knesset and other policy makers, and raise public awareness. This project, Local Councils 2018—Regional College for Politics, aims to ensure that more women leaders are elected by providing them with training, support and the tools and know-how during and after the election process. Through a Coalition of major women’s organizations, We Power seeks to mobilize more than 3,000 women and successfully encourage them to compete for political office in the municipal elections. Once elected, they will provide training, support and networking for them to be successful in the political sphere. Numbers Are Not Enough: Women Politicians Need a Progressive Feminist Agenda is a new initiative to train incumbent and aspiring female politicians on feminist thought and provide them with an understanding of the implications of policies on women and girls so they will be equipped with the knowledge to work for changes to benefit the diversity of women. 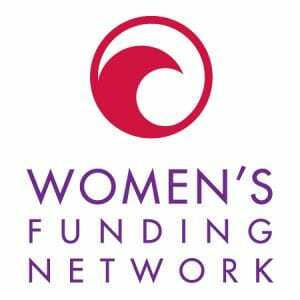 This grant supports the Women’s Activist Forum: “Achot, Shtayim, Shalosh” which was established in 2017 to consolidate a visible and influential feminist activist community to take action in solidarity for joint causes. Through the provision of training and Anu’s action toolkit, Forum participants will advance their campaigns addressing a broad array of issues and bring about long-term improvements. Protecting Immigrant Women and Girls Fleeing Violence provides access to justice for low-income female asylum-seekers fleeing gender-based violence. Attorneys represent women and girls and their cases may help set legal precedent. They provide training for professionals in the community who, particularly in an environment with rapidly changing administrative policies, often lack current information and understanding of the legal remedies available. The AWARE program teaches young people to recognize and avoid unhealthy relationships. AWARE uses interactive models to create an open environment for discussion while teaching young people, parents and educators the signs of unhealthy relationships and the tools to help themselves or friends. The goal of the program is to break the cycle of abuse. Dating violence prevention workshops are presented at public and private schools, camps, and other youth organizations. Safeguarding Synagogues aims to empower a cross-denominational cohort of DC-area synagogues to become healthy spaces where sexual abuse and assault are actively prevented and immediately addressed. Sacred Spaces will provide the participating synagogues with the tools and guidance to develop and implement substantial abuse-prevention measures and develop protocol for responding to complaints. Their focus on changing institutional culture through concrete policies and training helps to opportunities for abuse and helps synagogues respond appropriately. The Voicing the Unspoken: Addressing Domestic Violence and Sexual Assault in the Asian/Pacific Islander Community program addresses domestic violence and sexual assault in the metropolitan DC area’s Asian/Pacific Islander community by leveraging culturally and linguistically accessible and appropriate outreach strategies, including workshops and presentations, while enabling survivors to rebuild their lives. The outreach program focuses on preventing domestic abuse and sexual assault by shifting community dialogue and traditional beliefs through education of adults and youth, training and promoting awareness in the community. Ending Violence Against Arab Women in Israel From a Holistic Grassroots Approach addresses the root causes of violence against Arab women in Israel. The project aims to break the taboos for open discussion, empower women to report violations, create a supportive environment for women to speak out against violence, support women and youth being community leaders in the effort to end violence against women, and put eliminating violence against women on the agenda. #FreeConsent: Teen Leadership Talking About Sexual Violence encourages teenagers to become leaders in their community in condemning sexual violence and working with their peers to end it. The teen-led advocacy focuses on bettering the lives of girls by fighting gender biases and gender-based violence. Responding to Hate: Training Muslim and Jewish Women in Spiritual Activism is a one-day workshop for the Jewish and Muslim members of local DC chapters to develop the skills and confidence to respond to hate through spiritual activism. Spiritual activism is creating social change with a spirit of compassion and a faith-based platform. Together Beyond Words uses a theater ensemble to enable young Israeli Arab and Jewish women to work as change agents for peace. Funding of the program From Stage to Change lll: Cultivating Young Jewish and Arab Women Students’ Leadership in Working for Women’s Empowerment and for Intercultural Understanding in Israel supports implementation of the program building relationships and trust between young Arab and Jewish women college students, and empowers them with leadership skills. Positive Youth Development Programs for Immigrant Teen Girls in Montgomery County, MD provides school-based, positive youth development programs for 6th-12th grade girls from low-income, largely immigrant families that enable them to break the cycle of poverty. The programs encourage girls to stay in school, avoid pregnancy, graduate from high school, and go on to college and careers.